Robert Pattinson was at Bobby Long's concert tonight in London (Nov 6). 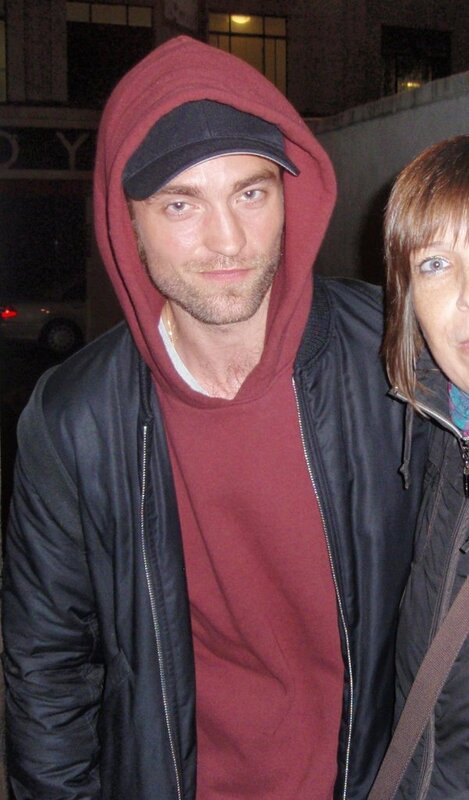 Rob was hiding out in his red hoodie but this lucky fan caught a pic. Rob is such a great friend! Tweets say that Marcus Foster and Sam Bradley were there to support Bobby too. Labels: Bobby Long, Brit Pack, Britpack, fan pic, He looks so good in Red, Marcus Foster, Rob is so good to his fans, Robert Pattinson, Sam Bradley, Who's that in the hoodie?